With TheaterMax 3.0, you get a widescreen cinematic experience on the 5.5inch Full HD display. Powered by Lenovo VR technology, you will have an unmatched experience of viewing movies and playing games on the super sized screen. The Lenovo K6 Note Dual SIM smartphone features a speaker system with Dolby Atmos technology to deliver a rich, immersive sound experience. The audio quality of videos and music in Dolby Atmos gets enhanced so that you can enjoy an elevated sound output with greater details and less distortion. Lenovo Note K6 runs on a 1.4GHz Qualcomm Snapdragon 430 Octa Core processor that is quick and proficient enough to handle the multiple activities without breaking a sweat. The Android 6.0 Marshmallow OS of the device has an array of user friendly features to enhance your smartphone experience. With a large 4000mAh battery, the Note K6 packs enough juice to keep you going through every challenge of the day. 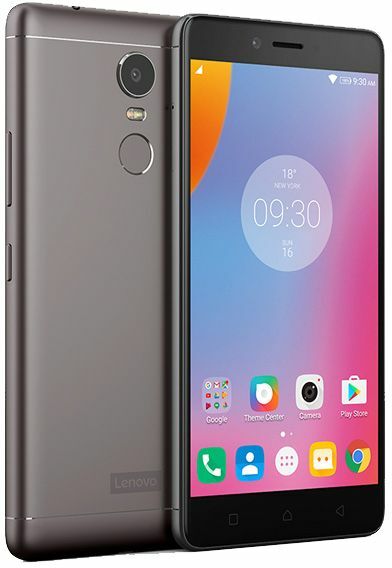 This Lenovo K6 Note smartphone has incorporated a high quality camera with superior resolution that will fetch the much desired clarity to the pictures. The integrated 16MP rear camera pairs up with dual CCT flash technology to make your cherished moments captured in stunning clarity, even in the low light environment. The 8MP front camera lets you capture beautiful selfies and group portraits. This phone has an onboard storage of 32GB to take care of your ever growing data hunger. It can be expanded up to 128GB should you need more data room. Why struggle to remember a complicated password, when you can simply log in with a swipe of your finger? The Lenovo K6 Note advanced fingerprint reader ensures that your data stays safe with biometric level security.